Simon & Schuster, 9781451651508, 512pp. 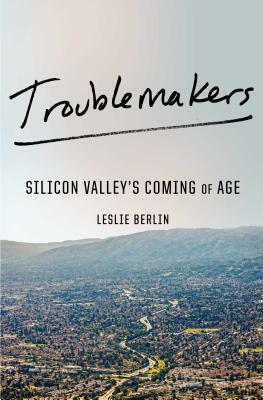 In Troublemakers, historian Leslie Berlin introduces the people and stories behind the birth of the Internet and the microprocessor, as well as Apple, Atari, Genentech, Xerox PARC, ROLM, ASK, and the iconic venture capital firms Sequoia Capital and Kleiner Perkins Caufield & Byers. In the space of only seven years and thirty-five miles, five major industries—personal computing, video games, biotechnology, modern venture capital, and advanced semiconductor logic—were born.